Want to build an online store? Â 1MB has developed a fantastic website engine that is designed to put your retail store online. Â Setting up an online store can be a lot of work. Â The choices that are out there and are ‘free’ require a lot of configuration and understanding to setup. Â We will do all of that for you. Â Maybe you have a unique situation; we can automate a product feed from your existing system. Have a look at our demo shop. Â This is a wonderful demonstration of what 1MB software can do. Â There is total control over what everything looks like; we will set it up for you quickly and to your liking. 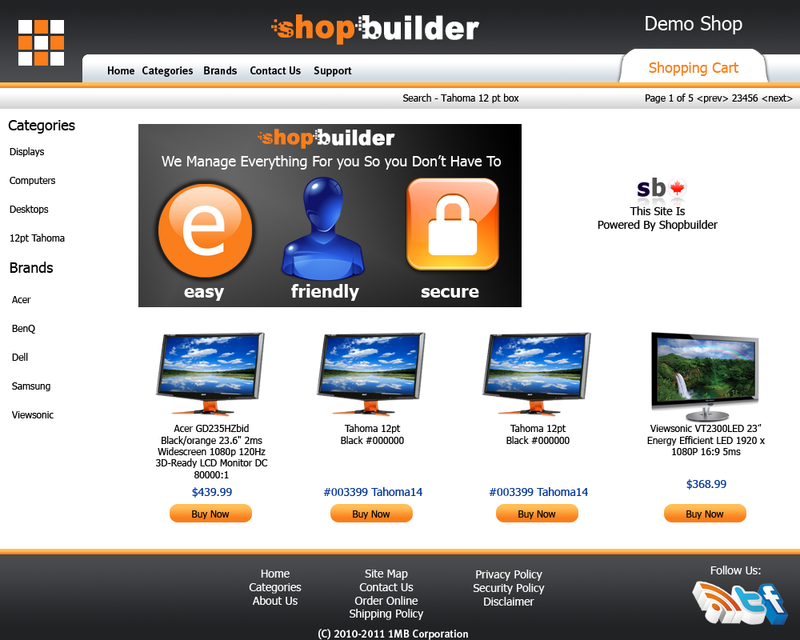 Shopbuilder has a ton of features and was designed to make your life easier. Â It is easy to operate and it will work nicely to build your own online store. Â Additional demos are available. 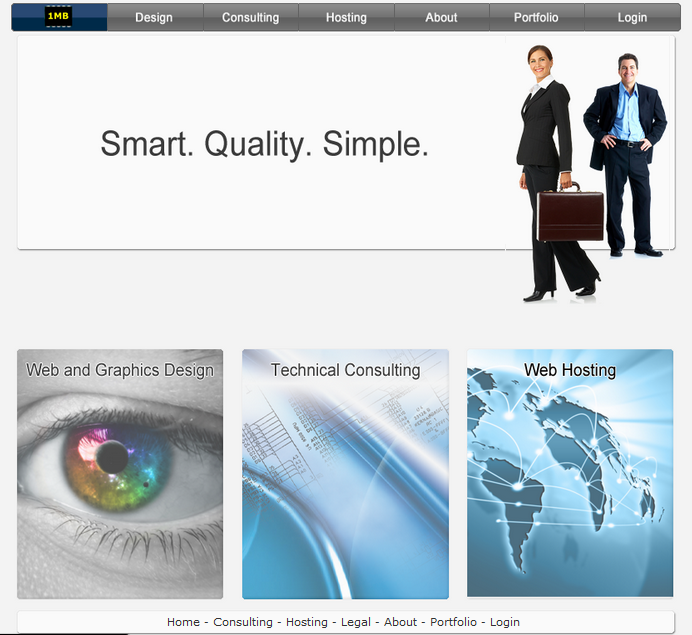 Finally finished the design updates for our corporate site 1mb.ca. Â I think it looks pretty good. I’ve been doing a lot of testing with it to make sure it works in every browser. Â Its taking some tweaking here an there but overall it seems to work on everything from an iphone/android phone to my wii on the 55″ television. Â The back end got an overhaul too; nice new subnavigation and more real estate and the newer themed versions of our modular library. Â So far everything is working great. Check out the site today; send us an email if you have any comments.